During the weekend of June 5-7, almost 500 alumni and guests were welcomed back to Manhattanville to celebrate milestone anniversaries. 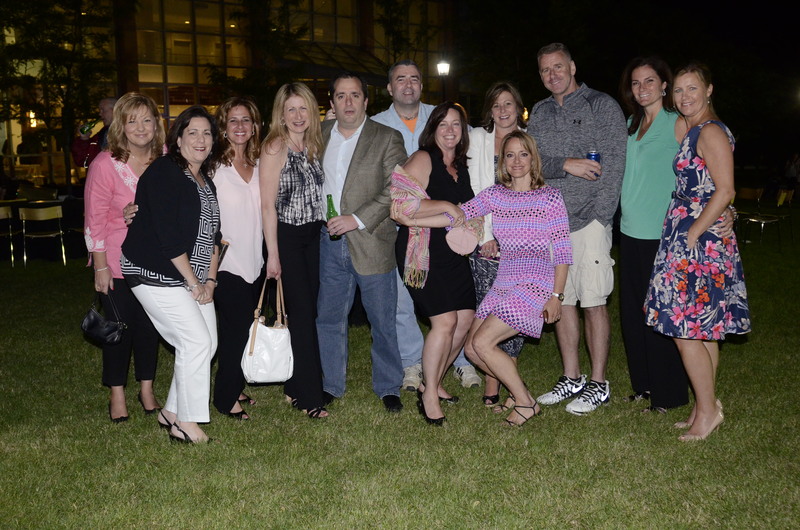 With a number of activities offered from Friday through Sunday, alumni of all class years were able to enjoy themselves and get a glimpse into what Manhattanville is like today. After being greeted at Reid Castle, campus tours, given by student tour guides, were quite interactive as alumni looked back to their college years and learned about how the College has grown and changed over time while also maintaining many of the same values and charm. The weekend also marked the 50th anniversary of the School of Education, a milestone that was celebrated with a special event. Friday evening’s festivities kicked off with alumni enjoying each other’s company over cocktails and a Taste of Manhattanville dinner at Reid Castle. Friday night concluded with a Comedy Night in the Pub, featuring Anthony DeVito, Erica Spera, Keele Howard-Stone, and Kevin Hurleyand, followed by a bar crawl hosted by the Manhattanville Young Alumni Society for the most recent graduates, who took the Valiant Express down to White Plains to some of their favorite hangout spots. Alumni also had the opportunity to close the evening with Cordials in the Castle or a fantastic lesson on the music of Richard Rogers led by Rose Maria Oliva Guzzo ’60. Alumni woke up on Saturday morning to a continental breakfast at Reid Castle, followed by the opportunity to learn about exciting initiatives taking place at Manhattanville when President Strauss and Jean Strauss gave their “State of the College” address. “Manhattanville 101” gave Reunion attendees the chance to learn about the College’s accomplishments over the years and what the present Manhattanville experience is like for students. For lunch, alumni had the option to attend the “Reunion Luncheon” in the East Room, where annual Alumni Association awards were presented , or relive one of the biggest events at Manhattanville by participating in the Quad Jam BBQ, where food, games, live music, and of course a bounce castle and beer garden were available for all to enjoy. 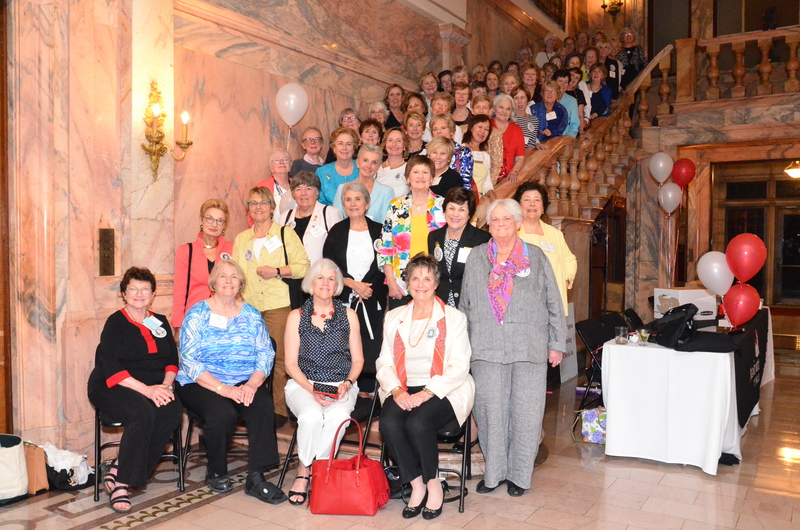 At the Reunion Luncheon, classmates and family gathered together to celebrate the accomplishments of 2015 award recipients. Congratulations to: Amanda Minck ’10 (Recent Graduate Service Award), Anna Mae Walsh Burke ’60 (Distinguished Alumni Award, posthumous) and Joan Magnetti RSCJ, ’65 (Outstanding Alumni Service Award). The rest of Saturday afternoon featured a jam packed schedule with options to meet up and reminisce at the Athletics Reception or catch up with one of Manhattanville’s most beloved professors, Lawson Bowling, at the Beer Garden. Librarian Lauren Ziarko contributed to Reunion 2015 with the “Archives Open House,” an exhibition of Manhattanville’s historical treasures. Other events throughout the afternoon included the campus Scavenger Hunt, the celebration of the 10th anniversary of the Manhattanville Advancement Program (MAP), and a current student panel. Two very special receptions were also held; the “Loyal Valiants” reception for the College’s most loyal donors and volunteers, and a faculty reception held in memory of longtime Manhattanville professor, Kwan Ha Yim. Before heading off to class dinners, all alumni came together for cocktails outside the Castle and even had a chance to witness history with a special screening of the Belmont Stakes. Following class dinners, all in attendance were welcomed to come back together for “Dancing Under the Stars,” where alumni and guests of all ages danced the night away with music provided by Rich Harris’ ’05 and his band, Hi-Def. On Sunday morning, alumni had the opportunity to have tea with former president of the College and current Trustee Elizabeth McCormack ’44 in the Ophir Room. A Catholic Mass was then held in O’Byrne Chapel with music provided by a talented choir group from the Convent of the Sacred Heart in Greenwich. After mass, in honor of their 50th Reunion, the Class of 1965 planted a tree on campus in memory of their classmates that have passed away. Special thanks to our Reunion Committee Members, the Alumni Association Board and our Student Ambassador volunteers who made Reunion 2015 a memorable event for everyone!